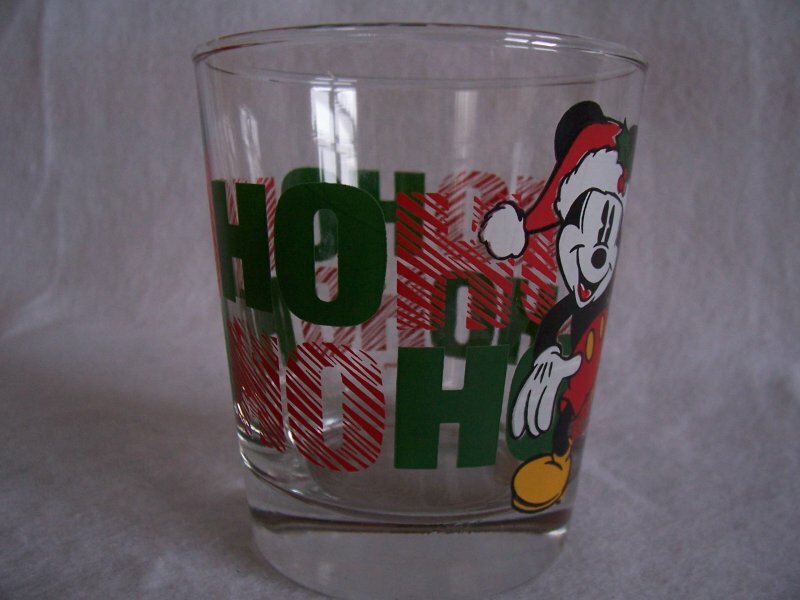 Santa Mickey Mouse Ho Ho Ho drinking glass. 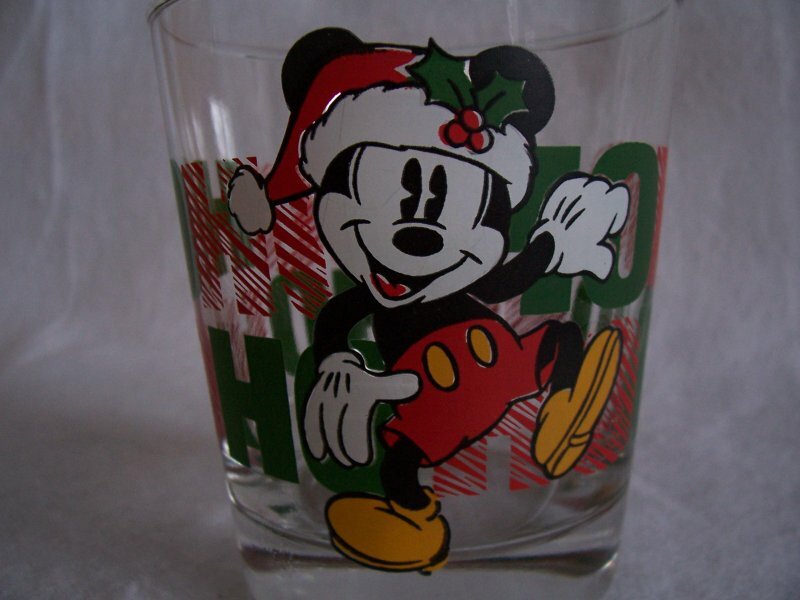 Tumbler is made by Anchor Hocking. In gently used condition, there are no chips, cracks or scratches. Tumbler measures 4 inches x 3 1/2 inches in diameter. Holds 10 ounces. 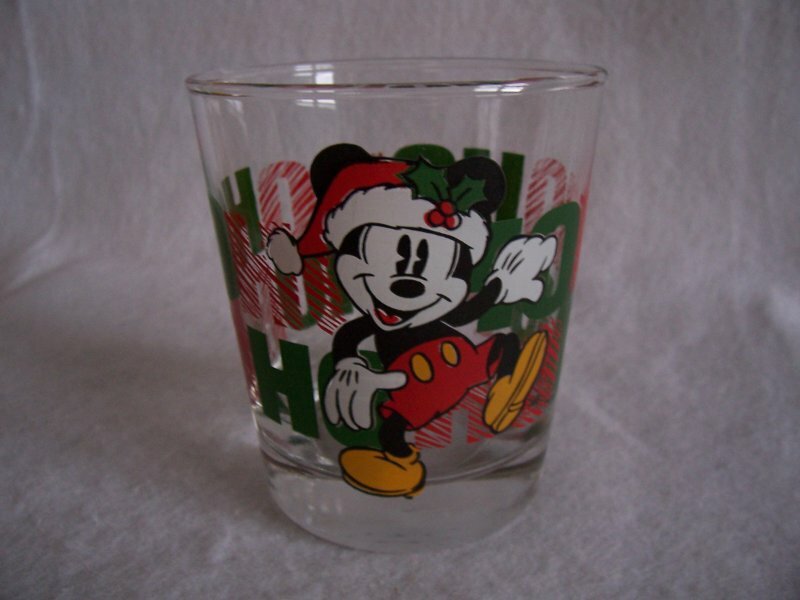 Santa Mickey Mouse Ho Ho Ho drinking glass. 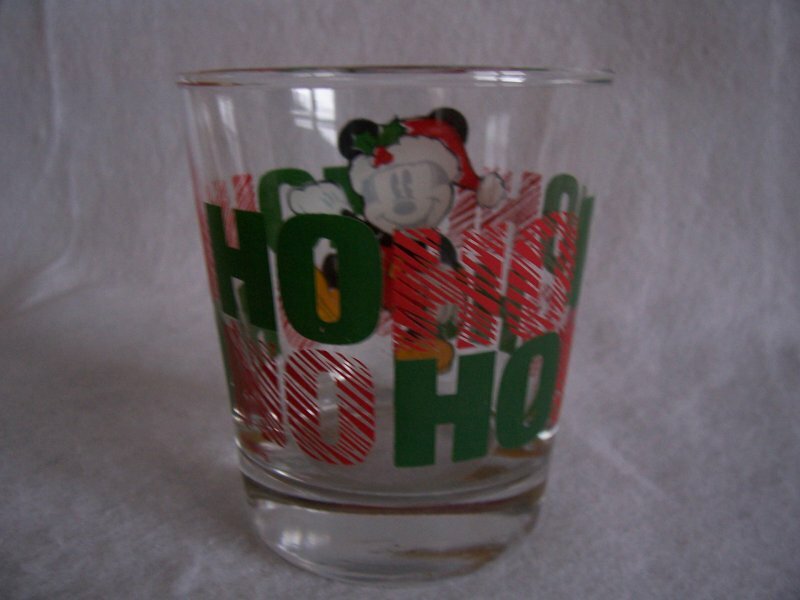 Tumbler is made by Anchor Hocking. 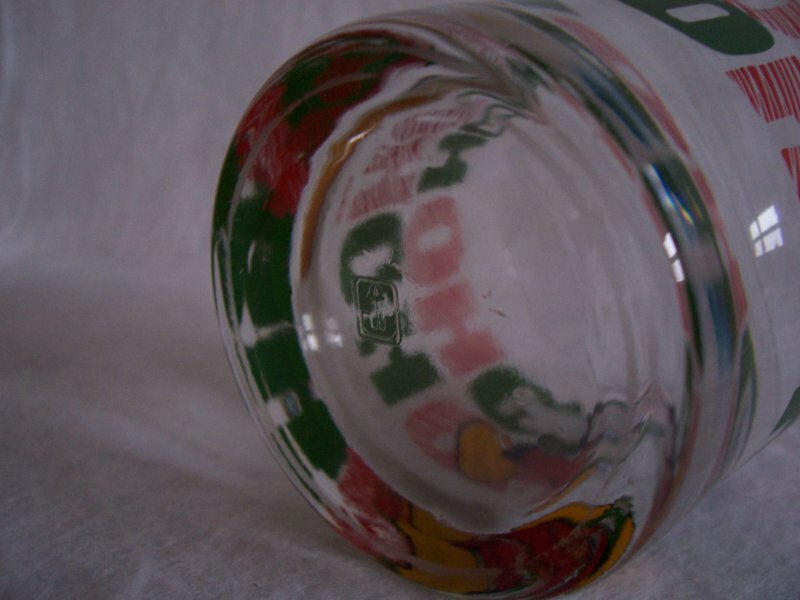 In gently used condition, there are no chips, cracks or scratches. Decals are intact, bright and strong. Appears to have never been used. Believe it was distributed in the late 1970s. Tumbler measures 4 inches x 3 1/2 inches in diameter. Holds 10 ounces.